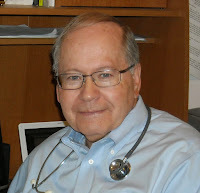 Dr. Richard Mabry is a retired physician, now writing “medical suspense with heart.” He is an active member of International Thriller Writers, a past Vice-President of the American Christian Fiction Writers, and a member the Romance Writers of America. His seven previously published novels have garnered critical acclaim and been recognized by programs including the ACFW’s Carol Award, the Romantic Times’ Inspirational Book of the Year, the Inspirational Readers Choice, and the Selah Award. His novella, Rx Murder, was released via Amazon in April, and his novel, Fatal Trauma, is scheduled for publication by Abingdon Press on May 19. For more information about Dr. Mabry, visit his website. I’m a retired physician living outside Dallas, Texas, working on my golf game, and enjoying my grandchildren. I entered the area of writing non-medical material after the death of my first wife. The book that resulted, The Tender Scar: Life After The Death Of A Spouse, has been ministering to grieving individuals for a decade now. At the writers’ conference that I attended while attempting to learn the craft, I was challenged by two faculty members to try my hand at fiction. After four years of false starts and many rejections, I gave up on the idea—only to be brought back for one more try by some timely words from my now-agent. That led to my first fiction contract. My next novel, Fatal Trauma, will be my eighth one published. My good friend and I have had a standing golf game each week, weather and schedules permitting, for over fifteen years. I read a lot—mainly detective stories and thrillers. And, since God has once more gifted me with the love of a wonderful woman, I sort of follow Kay’s lead regarding what needs to be done that day. (That’s not to say I’m the one who does it—sometimes it’s better to stay out of her way, so I retreat to my office to write). My first editorial letter was an eye-opener. I still remember one line: “Do you know how in love with the word ‘just’ you are?” Ever since, I’ve done a word search and removed about half my uses of the word. Up to that time, I figured my job was done once a novel was accepted. I quickly learned that’s not the case. You know, my initial inclination is to say I wish I’d received a contract after my first attempt at a novel. Then again, the four years and forty rejections that preceded my first contract included lots of rewriting, sharpening my craft and deepening my understanding of the writing process. So maybe I’d do it the same way again. What do you see happening in your career five years from now? As I’m fond of saying, my crystal ball is cloudy. Publishing is changing almost as we speak. I’ve been fortunate enough to work with a great agent through all this. I’ve recently self-published a novella, Rx Murder, and we’ll have to see how that one goes. My publishers, both past and present, have been superb. I’ve already written and edited two more novels that are under contract to follow Fatal Trauma, making ten in all. If the Lord tarries, I suspect I’ll keep on doing the same old thing, one way or another. While Dr. Mark Baker and nurse Kelly Atkinson are used to dealing with high-stress situation in the ER, they are not used to working at gunpoint. Despite their efforts, they are unable to save the wounded brother of a desperate gunman, and in the ensuing battle a policeman is also killed. It appears that the gunman and his brother are linked to a drug cartel, and now the boss, “El Jefe,” is out for revenge. Mark soon finds himself a suspect in a murder and the target of a malpractice suit. Although he is a believer, he’s gotten too busy for God. Can Kelly overcome the situation and restore Mark’s faith? And can they solve the mystery of who’s behind the murders before Mark becomes a victim? IF YOU'D LIKE TO WIN A COPY OF DR. MABRY'S BOOK, FATAL TRAUMA, LEAVE A COMMENT, ALONG WITH YOUR CONTACT INFO. U.S. ONLY PLEASE. I am so excited about Fatal Trauma. I love medical fiction and have read ALL your books so far....thoroughly enjoyed each one! Nancy, thanks for having me here. Jackie, I appreciate your kind words about my writing. We're thrilled to have you visit the Suspense Sisters, Dr. Mabry! I do enjoy medical fiction & I'd love to read this one! ! 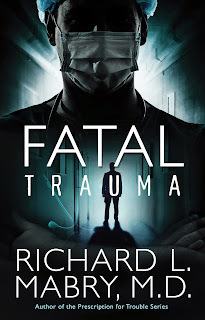 Fatal Trauma sounds fantastic and certainly a story I do not want to miss. I am always very interested and intrigued by medical stories. Thank you for a great interview and giveaway. Keeping my fingers crossed! FATAL TRAUMA sounds awesome! I can't wait to read it. Congrats Dr. Mabry on your release. Wow! Sounds like a real page turner. Can't wait to read this. I love the excerpt. It sounds fascinating! Your story sounds fascinating and it looks like I need to read your other books, too! Haven't read any by this author. Would love to win to try it out! Thanks to all of you for your comments. Sorry to be so late getting back to comment, but I've been traveling to speak to the Centex (Central Texas) chapter of ACFW. Nice to be there, great to be back home. Whatever you're writing, I'm reading. I've bought every book so far, including The Tender Scar. And your novella was remarkably good! You got so much character development and plot into those 20,000 words. Good work, Doc! Really enjoyed reading a little of your personal history, thanks for sharing. And I've never been a thriller reader, but I might try this one out! gkittleson at myomnitel dot com. Thanks, all, for the comments. Special note to Gail--I try to write "sleep with the lights OFF" thrillers. When I read And Then There Were None by Agatha Christie, I read it through in one night because I was afraid to turn off the lights. Not for me. I loved the interview & getting acquainted with an author I don't know. I understand, Richard, I've had a love affair going with the word "just" myself. My e-mail is Janet.hope@att.net. I'd love to win the book. Love mysteries. Doc, great to see your new book is out! Congratulations! Great interview, great author, great book!!!!!!! Thank you for this opportunity! Medical suspense isn't something I've read much of, but this sounds interesting. Thanks to all of you who stopped by to comment. Hope you enjoy Fatal Trauma. Medical suspense isn't something you find very often in the Christian fiction market! The only author I know of & have read books by, is Harry Kraus. A lot of my family members are nurses of some kind, so this is a fascinating subject to me! I would love to have a copy of "Fatal Trauma", thank you for the chance! I'll definitely be looking for your books in my local library! I appreciate all the nice words you all have left about Fatal Trauma and my writing. And thanks again to Nancy and the other Suspense Sisters for this opportunity. After working in the medical field for over 30 years, I love reading a good medical suspense. Your books are the tops! Would love to read this one also. Thanks for your comments. Good luck to everyone. Sounds like a good book. I just looked at the excerpt on Amazon. Thank you both for the interview. I have enjoyed all of Dr. Mabry's books. This one sounds like a book to look forward to. 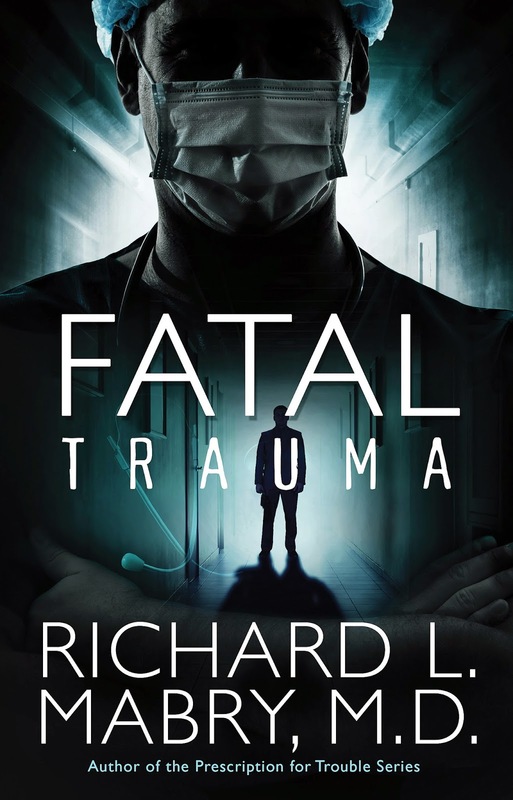 Although it would be nice if everyone could win, Trixie has been randomly selected to receive a copy of Fatal Trauma. Thanks to all of you for your comments, and to Nancy for this opportunity.